For lunch, I opened up my “half” of leftover salad and discovered that I had only put chicken into the container. I think I started to halve the salad and we were asked a trivia question which distracted me. It is what I’m there for, after all. 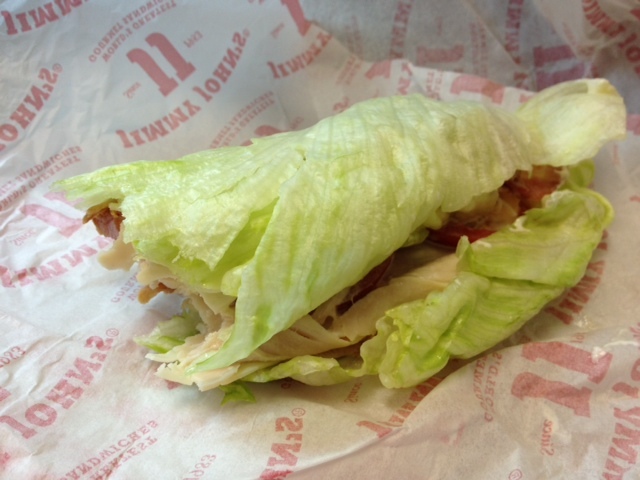 So, I tried eating some almonds, but I was disappointed that I didn’t have a very exciting lunch, so I asked Brandon to pick me up a Jimmy John’s Unwich while he was getting his own. I’m a staunch liberal, as well as an aware consumer, and I don’t frequent Jimmy John’s on principle. He is a conservative who has denigrated my favorite president and he supports everything I dislike politically. So, that being said, I had an Unwich. Sigh. I’m SORRY, my liberal friends. I won’t do it again. I promise. After work, Rick and I went to work on the house. 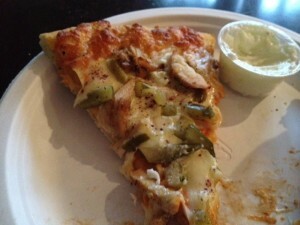 On the way, we noticed that our local restaurant was serving chicken shawarma pizza. That just sounds yummy. On that way home, I stopped in to pick one up, and ordered some fried kibbies for Rick. I ate 2 bites. Sometimes that’s all it takes to get the cravings under control. Of course, while there, I tried to interest the owner’s nephew in a website. I left some company literature, so we’ll see. I have to say, I will be getting the shawarma pizza again. And my dog loved the crusts! Rick ate some, but we had two leftover pieces for the next day’s lunch. We had low-carb mousse for dessert. WHAT RESTAURANT HAS THAT SHAWARMA PIZZA OMG NOMNOM I WILL TRAVEL! WHERE IS IT FROM! 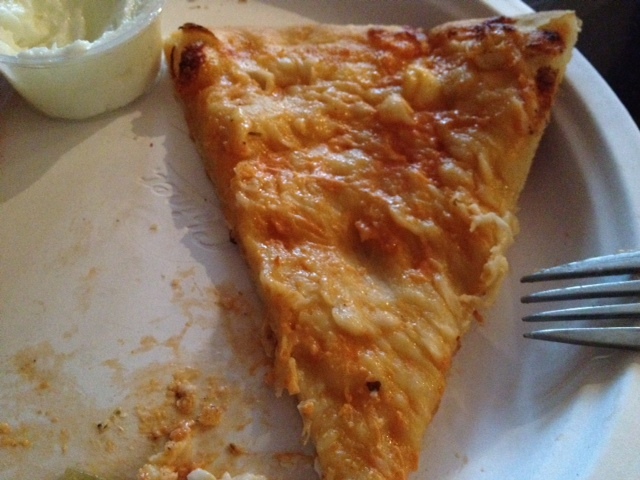 I have really bad news: the restaurant that made the shawarma pizza has CLOSED! I may try to get ahold of the former owner and ask how he made it. If I have any success, I’ll let you know, and I’ll post the recipe here.